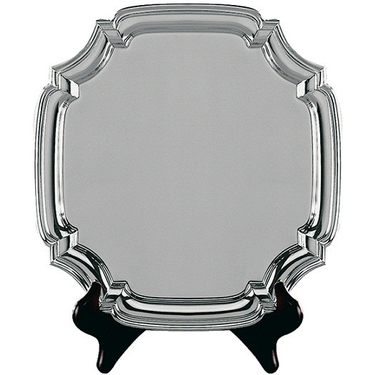 Swatkins endurance heavy square salver, elegant design perfect choice for any presentation event or awards ceremony. Personalise the salver with an engraving, if you would like to add a logo to the salver, please contact us. For an added touch you can also purchase a plate stand to display the salver.